That question gets asked over and over. Disney is such a popular network and kids, teens are also looking out for ways to get an audition with Disney. In a nutshell there are three ways to be seen by Disney Channel / XD casting directors. You can attend an OFFICIAL Disney casting call, you can apply online when the company opens up their auditions nationally or you can get an agent to help you land the auditions. The first way is to attend an official Disney casting call. I stress the word official here because most of what you hear about on the radio or through email are not official Disney castings. The Disney casting directors normally hold one open casting call event per year. Those events are historically held during the spring or summer months and the company picks a city that they come to. Last year, the Disney open casting call was held in the Los Angeles area. In previous years they came to Texas, Kansas City and other places. These events are done in person and not by way of email, Skype or online submissions. If you want to be seen, you must attend. Yes, it may seem unfair for kids and teens who have no way of getting to the event, but that is how they do it. Since these Disney try outs are only done once a year, 1000’s of families attend and many families come from many miles away or even across the country. Update: the official disney auditions have just been announced – see Get on Disney Channel – 2015 Disney Auditions are Here. The second way is to keep an eye out on official online casting calls for Disney movies. Every now and then the Disney casting directors will set up an online submission process to find new talent to fill a specific role in an upcoming productions. Most recently, one such casting was held for the upcoming Disney animated film Moana. These calls are usually very specific to what they are looking for in terms of ethnicity and age. They held a similar casting call for Peter Pan and Star Wars last year as well. To get in on one of these you just basically have to keep your eyes open. When applying to online Disney auditions you need to really be careful and make sure that it is the official one. The official online casting is always free of charge, actually, all Disney auditions are free. If you find any that ask you for money then it is fake and just someone trying to scam you or your parents, no matter how great they sound. None of the official Disney Channel / movie auditions have ever charged any money so if you are asked for payment, it’s not official, it’s not actually Disney and you will be disappointed if you end up paying. The third and best way to get a speaking role on a Disney show is by getting an agent. Yes, most of the kids and teens that you see on your favorite shows got the part with the help of an agent. Most casting directors use agents to help them find the right talent for the part. They do this because time is money in Hollywood. While having a few open calls a year may help get lots of submissions, most of those submissions will not be what they are looking for. Having to look through thousands of submissions takes a lot of time and no one, not even Disney, has the resources to do this for every single role they need filled. Most casting directors depend on agents to find them the talent that exactly fits their specifications such as experience, training, age, ethnicity, look and other criteria. Agents insure that the talent that they send over to audition is qualified, experienced and professional. If you are looking for an agent, you have to remember that agents only get paid when the talent they represent gets the acting job so they can be very selective. If you want to make your Disney dreams come true, you need to first start small with small theater productions and other things that will prove that you are ready for an agent to send you out on auditions for bigger stuff. Also, keep in mind that agents make money when you do and normally get paid on commission. Agents that say they will represent you if you pay them may not be legit. Be sure to check out the article about what to watch out for. Be sure to check back often since we list most open casting calls for the Disney Channel as well as the online auditions as soon as we get the info. I’m also going to one of the best acting schools in Pinellas county. Hello, I would like to be part of the Disney auditions, but they never come to Las Vegas; so sad. But, I still want to perform for Disney. I’m ready for this. If you need someone, that is me, JEPS! I’m leslie and I’m 14 years old. I would love to become an actress on Disney channel. I’ve been wanting to be an actress for a while but I don’t have any acting experiences. I would love to have the chance to have an audition. (: I love the show “girl meets world” and I feel like the cast just has a wonderful life and I would love to be like them. Please give me the chance to have an audition. Hi! I am a big fan of DISNEY! I have interest in acting and dancing since I was 4, I took part in more than 15 plays and 5 dance offs…. I am Indian but grew up in Japan, my idols are Debby Ryan and Leo Howard, being in Disney would be a dream come true! Hi I’m 14 and I’ve been interested in acting since I was 6. I always applied for things without my mother knowing and I didn’t even know how to tell her but then they called her so she found out. I always wanted to be on Disney channel, it’s always been a dream of mine and I would love to be on it. Reply to: Keilly sanchez – How did your mother react? My name Is Emily. I am 13 years old and I have an undeniable passion for acting and singing. I have been in two of my schools plays and I want to pursue my dream to become an actress who makes people smile. Hello my name is Jamecus and I love to dance, sing and act. I was wondering can someone help me get on Disney Channel because that is my biggest dream. Hi, my name is Nicholas Joseph. I am 12 Years old, and I would like to be on the show Lab Rats and Jessie. I am talented in math, and drums, if you give me any kind of task I will accomplish it. I have applied to many things, but still no answer. I think I would be great because, I help others who would need help. Hello there Disney! My name is Quinn, and I’m not going to tell you how much I love your shows or your network, I’m just going to give you some facts about me so we may possibly form a business relationship. Acting experience: I have been a part of all of the community theaters sparking a main role every time. I love acting and would like to be in Jessie. I work hard when it comes to something I want and I really want this, its one of my dreams. It would be honor to be in Jessie. Hey, I’m Quintaveya Currie, love to sing and dance. I’m 14, cool to talk to, always wanted to become an actress so maybe one day my dream will come true. My name is Vanessa, I live in California and I am 5’6. I love watching disney channel and will love to be a part of it. I can sing, dance, act, and model. I don’t really have experience, just school plays. I love creating new characters and losing myself while I am acting. My name is Vanessa. I am 5’6. 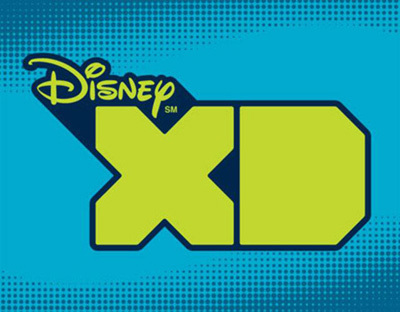 I love watching Disney channel and will love to be a part of it. I can sing, dance, act, and model. I don’t really have experience, just school plays. I love creating new characters and losing myself while I am acting. Hope to hear from you. Hi I am a fun energetic 12 year old girl. I am 5’4 weigh 95 pounds and have dirty blond hair and blue eyes. I have been identified as talented and gifted in drama and fine arts by the Kentucky Board of education and I am a competitive cheerleader on a level 2-3, so I can dance, stunt and tumble on a high skilled level. I am great at making people laugh and entertaining crowds. I am very experienced and have been in several plays before. I would love to be on fairset of the mall, so please consider and at least reply with what you think of me so if I need to clean something up, I can. Thank you for your time. Hello my name is Nathan. I am 10 years old. I want to be on the Disney channel show “Jessie” because I love to watch it every day after school and I love to do cartwheels. I love singing all the time. Please email me back. I want to be on Jessie because I’ve never been on TV and I hope this will help me get a career and become someone who I’ve never been before. Thanks for reading this. I hope I get a role and PLEASE EMAIL ME BACK. Hi, I’m contacting you in hopes that my boy’s would have an opportunity to introduce themselves to you and possibly be discovered. Hi! My name is Jadira. I am in 8th grade and I can sing and act. I also can dance and it wil be an honor if I could participate in the show. My Name is Suzette, I’m 13 old and I would really love to participate in Disney channel auditions. I like to sing and dance, also I like acting. I wish my dream will one day comes true. I have a 4 year old son who has an awesome personality. I think he would be an awesome actor. Hi! My name is violet. I’m 12 years old, I live in Louisiana and I’m in the sixth grade. I can sing and act. I’ve wanted to be a singer/actress, so please pick me! My name is Mercy. I am 14 years old, I live in Maryland. Act is my most prized possession that to do. I can also dance and sing. I used to do ballet. I have attended many school plays and I sing in church. Hi! I’m a 15 year old young man, African American with no prior experience, but I know I can do this because I always get told I should be on Nick or Disney. Thank You! Hi my name is Yashanti Gomez. I’m 12 turnnig 13 on may 17. I’m smart, in 6th grade and I really want to be an actor in jessie. I want to be a singer also. You can email me. I am one of the biggist fans and soon I am going to new york. I dont know what to do can. You reply and say where and what time to do it. I go to acting classes in the UK and I am 9 turning 10. I love going to acting class and I sing as well, so please pick me, please. I have twin girls Shayla and Tayla Miller who are 12 years old. They are very bright, smart girls. They used to be in ballet and part of girl scouts and now they are involved in big brother big sister. They watch Disney channel everyday. They had an audition on Jan.10, 2015. Michael Davids seemed to like them but they didn’t get picked. There hasn’t been a twin show for years, I think this would be great to give them a chance. I am 10 years old and my name is Atira. I love watching disney channel it’s the only thing, the only actual channel I would usually watch. Anyways, I would really like to know where I can do auditions for a part on disney.Thx (Thanks). You can get back to me. Hi. I’m Ore. I’m 11 and I have always wished to star in a Disney show. My dream is to become a great actress and I’m really working towards that. I have a passion for acting. I sing, dance, act and play the guitar, keyboard and violin. I would like to be a great actress, dancer and singer like Zendaya Coleman who is my role model. 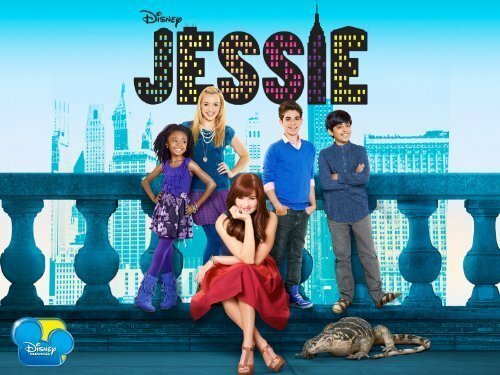 I really love Jessie and I hope one day my dreams will finally come through and I will star in a Disney show. Thank you for your time. Please pick me, I’m 11, I’m really good at acting. I took classes when I was little and every one told me I could not even get in a commercial. I wish I could show them I could, so I beg you. I will take any role in any show, please that would be a dream come true since I was 3. Hello my Name is Pamela Navarrete. I would like to audition for the Fairest of the Mall. I am 13 years old I speak two languages which are English and Spanish fluently. I auditioned for an agency and they were only picking 5 kids out of 1,000 kids. I was lucky to have been one of those five kids and I hope I’m one of the lucky kids to audition for this part. I take my acting very seriously but I loosen up and just have fun acting, not only is my dream, it’s also my passion. I love to know I make people laugh and smile. I am a very fast learner I hope you contact me soon for this audition. Thank you for your time hope to hear from you soon. I really want to be a actor . When I was three, I dreamed of charlie from good luck charlie. Acting is fun and I can express my feelings. Hi my name is Mohoghanie. I’m 13 years old, my eyes are Brown, my hair is sandy Brown, my hair is in the middle but long. I love acting, singing and rapping. I love the show Jessie, ever since I first watched it I wanted to be on TV with the family, the Rosses. I went to auditions plenty of times, they say they will call me but they never do. I want you to pick me because I’m easy to work with, also, it’s not only about me, but I would love a role in the Disney channel show Jessie. I’m 11 years old and LOVE Jessie. I act, sing and dance and would like to even just get an audition for Jessie! I’m 14 about to be 15 on January and it would be an honor to be acting. I’ve been interested in acting for quite awhile but I don’t have any acting classes I can take at my high school. I would love to be on jessie. I watch it everyday. I’m 9, I love to sing and act. I’m talented in gymnastics to, so please pick me, please please please.